Wotton Printers are the leading choice for Foamex board printers in Newton Abbot. If you are looking for foamex printing services in Newton Abbot and surrounding areas in Devon, be sure to get in touch and we can assist you in all of your endeavours. Foamex is a light mounting board made from a polyurethane foam core, creating a lightweight, easy to print board for users. Although foamex boards might be lightweight, they are a sturdy option for those of you with signage needs. The Foamex boards Wotton Printers provide are weatherproof and can cater to both indoor and outdoor purposes. Our Foamex boards offer an extremely smooth printing surface for businesses, creating eye catching results for potential customers to enjoy. This is also thanks to the work of our high quality printing presses. Often used to mount work for box frames, tray frames or even to mount artwork on a wall, Foamex boards are a brilliant cost saving solution for printing. Whether you would like to hang, nail, glue or tape your signage a Foamex board is the perfect choice! Foamex boards themselves come with various benefits, not only in appearance but the results they will bring to your business. Want to know more about our Foamex board printing? 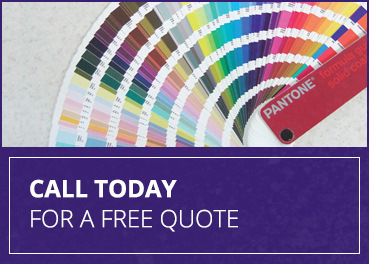 Waste no time in contacting Wotton Printers today to discuss your needs. If you are looking for a form of print that will provide you with high quality results, Foamex boards are the perfect choice. Due to the smoothness of the boards themselves, Wotton Printers are able to print to an exceptional standard. Of course, the better the quality of the file you send, the higher the quality finish your printing will be! Make the right choice for your business and choose Foamex boards for all your printing needs. If you are in search of a reputable, high quality Foamex board printer in Newton Abbot, Wotton Printers are the ones to call. Our printing team have years of skill and experience, allowing us to print to the highest possible standard. We thrive on customer satisfaction hence why we always work closely with our customers throughout all stages of their printing. We will never consider a job complete until you, the customer, approve the finished product. We believe this to be great reassurance for customers who want comfort in knowing our printing is worth investing in and believe us, it is! If you would like to learn more regarding the Foamex boards we provide or have a question relating to our printing services, then please don’t hesitate to get in touch with us today. We are happy to discuss your needs and talk through any questions you may have. After all, we are only happy when the customer is! Give us a call today and receive top quality Foamex boards for your business in Newton Abbot.